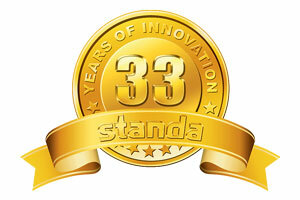 Standa Ltd. was founded in Vilnius, Lithuania in 1987 and now has more than 150 employees working at the company. Standa has it's own industrial base that includes CNC turning, milling, grinding machines. Standa's design department, while developing standard products presented in Standa's catalogue (such as motorized and manual translation and rotation stages, motion controllers, optical tables, vibration isolation systems, optical mounts and holders, optics, dpss lasers and etc.) also develops the equipment for OEM customers. Some examples of it, after the agreement with OEM customers, are shown on this website. Standa currently has several laser product development laboratories. Nowadays Standa continues developing and producing diode pumped lasers, opto-mechanical components and contemporary motion control devices (direct drive positioners and hexapods are among them). Standa has a highly skilled marketing team assisting you to make the correct choice of Standa products and together with our OEM customers, create the products you require containing mechanics, optics and lasers. Standa products are distributed to more than 90 countries and represented by more than 25 companies worldwide. Many of our products emerge from close relationship and conversation with our customers. We hope you can also realize your ideas in our new products. Company Standa and its partners from the Lithuanian Laser and Light Science and Technology Association have extensive scientific and technological potential, which allows developing and manufacturing innovative products of excellent quality.